beaches and golf course, the largest casino in the Caribbean, and more than 20 restaurants, lounges and nightclubs. 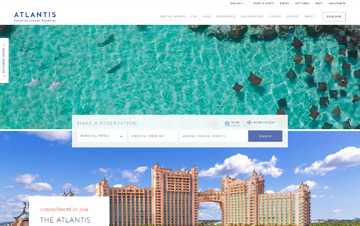 Atlantis also offers a multitude of unique accommodations, including the iconic Royal Towers and the stylish all-suite tower, The Cove Atlantis. Cash Back is available only on completed hotel stay. Cash Back is not available for insurance. Click a Coupon or click Start Shopping to earn 3% Cash Back at Atlantis.